Considering that most people spend half of their waking hours at work, it’s important that work is as fulfilling as possible. Happy employees are invaluable to an organisation: they are engaged and motivated, excited to go to work each day, and spread their positive energy throughout the workplace. 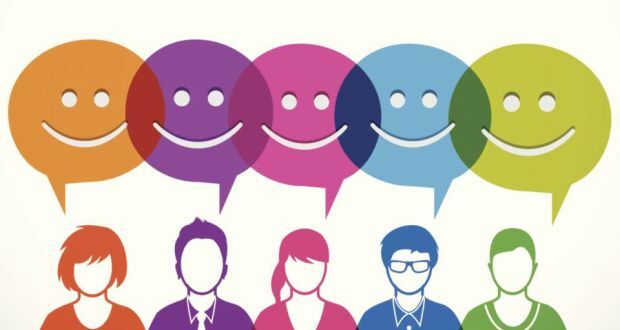 Positive Psychology can be a significant contributor to employees’ happiness at work. Positive Psychology focuses on what makes life most worth living. It considers how people can build the best life they can for themselves by including the positive aspects and minimising the worst. Positive Psychology studies have demonstrated how positive emotions are linked to numerous benefits including improved health, well-being, longevity, and a greater quality of life. Although there is a clear link between genetics and happiness, a person’s attitudes and actions also control one’s degree of happiness. Creating a state of happiness in the workplace is much about controlling our attitudes and choices. Employees, managers, and leaders all have a role to play in workplace happiness. The PERMA model developed by Martin Seligman identifies five essential elements of psychological well-being: Positive Emotions, Engagement, Relationships, Meaning, and Accomplishment. These ideas can be put into practice in the workplace to improve employee happiness and well-being. Happiness can be stimulated by expressing appreciation and being grateful. To foster more appreciation in the workplace, organisations can develop programs or processes through which employees can express their gratitude for others. For example, an organisation can encourage employees to express their appreciation by nominating a colleague who did something helpful. All of the names and comments can be gathered and then acknowledged through a workplace announcement or with a small token of appreciation. When employees are engaged in work that uses their strengths they will feel a sense of accomplishment. This sense of accomplishment drives higher levels of motivation, satisfaction, and happiness at work. Organisations can help employees identify their strengths through strength inventory assessments and can modify responsibilities to help employees work within their strength areas. Organisations can highlight accomplishments by sharing successes. Small successes can be a part of daily meetings, whereas larger successes may warrant a special event. It is energising for employees to both share their successes and celebrate successes of their colleagues. Relationships are the key to health, happiness, and longevity. In the workplace, positive relationships are linked to increased productivity and better stress management. Organisations can facilitate employee connections by encouraging employees to be social inside and outside of work. Team building events, group lunches, and including a few minutes of casual conversation before or after meetings are all easy ways to encourage more social connections. Work becomes more meaningful when employees can see how their efforts are impacting others within the business or its customers. It’s human nature to want to have an impact on the lives of others. When an organisation can clearly show employees the end result of their efforts, it can make work more rewarding. Goal setting is an important part of productivity and happiness. Having goals provides employees with a sense of purpose, engagement, and motivation. While goal setting and achievement is important, employees must also learn to take enjoyment in the process. When goals are connected to personal values and strengths, employees are more likely to enjoy the journey and perform better as a result. While the PERMA model provides an excellent framework for happiness, rewards are another component that should not be forgotten. Rewards activate the pleasure centre of the brain and can translate into greater happiness, motivation, and productivity at work. To be effective, rewards do not have to be extravagant. Rewards can also be self-induced, for example, taking a break for a short walk or enjoying an afternoon coffee with a colleague. When offering workplace rewards, organisations should consider what is most valuable to their employees. Many organisations focus on financial rewards, but rewards like flexible working hours or an extra vacation day may be more valuable to employees. By following the PERMA model of Positive Psychology, organisations can create an engaged and motivated workforce that is a positive force for happiness throughout the organisation.